This group of friends has inspired people on social media, while others say they need to change friends. 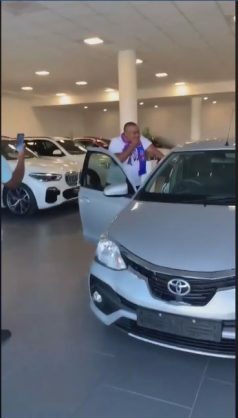 A heartwarming video of a group of friends showing their friend his new car has been circulating on social video. In the video that has been viewed more than 500 000 times, the friend breaks down in disbelief, asking his friends if they were pulling his leg. “What do you mean it’s my car?” asks the friend. While some on social media said they were inspired by the group, others said they would never get tired of picking their friends up. Others, however, said the whole thing was staged. Others said it was time they changed friends.